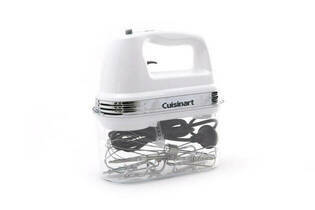 Snapshot: The Cuisinart HM-90SA has 5 speeds. How well does it beat and mix? High speed is very powerful. Some vents at the back and front where food can accumulate.